"Shah Rukh Khan ruined my life"
Dhaka, 22 April, Abnews: Let’s put it in straight, clear words: Shah Rukh Khan has ruined lives. Sure he gave so many of us a purpose to live and a renewed faith in love through his beautiful movies, we still can’t deny the blatant destruction he left in his path. 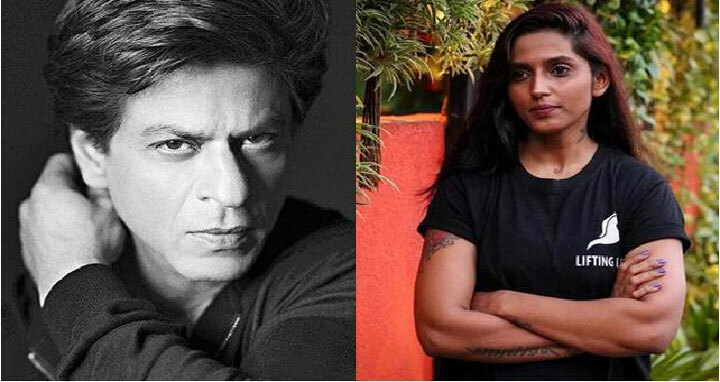 In a recent post made by India’s answer to Humans of New York, Humans of Bombay shared the story of a fed-up Bengali woman who decided to propose to her boyfriend when he would not give her the ‘Shah Rukh Khan treatment.’ Because their parents took a lot of time to be convinced for the wedding, the couple didn’t really have much scope for a full-blown, surprise filmy proposal. But the Bollywood crazy bride decided she wanted to turn Shah Rukh Khan for her husband and proposed to him on his birthday instead. But that never happened. In fact, we found ourselves in the middle of this mess where I was trying to convince my Bengali parents to let me marry a Punjabi Baniya! We’d been dating for 3 years, but the majority of that time was spent on bringing our families together. At one point in our relationship, we were sure that we were going to get married --so he never even tried to ‘surprise’ me with a proposal. Amidst all this drama of a big, fat Indian wedding, I realised-- I never had my filmy moment! So, on his birthday, I decided to take the matter into my own hands. I planned a surprise party at the restaurant where we had our first date, and as soon as he walked in-- I asked the DJ to play “Marry Me” by Bruno Mars and fell to my knees when he walked in. While most comments are praising the woman and her story, many missed the sarcasm of her tone by a mile. They are asking her what is Shah Rukh’s fault in this situation. “SRK didnt ruin your life.....he showed you how beautiful it can be...he never told anyone this will happen with everyone off the reel.....besides did you just compare ur man with king of romance?,” a comment read. We guess people will always find something to hate on even on a wholesome post as this one. Here’s hoping they catch the sarcasm in the headline above.